Juanita Guccione was an American painter, born Anita Rice in 1904 outside of Boston. Her family relocated to New York when she was a teenager, and she went on to study at at the Pratt Institute and the Art Students League. After a stint of fashion modeling and design to earn money for travel, she left for Europe in her mid-twenties. Within the same year, 1931, she settled in an artists’ colony in Algeria. While there, she worked constantly, producing hundreds of paintings and drawings over three years. 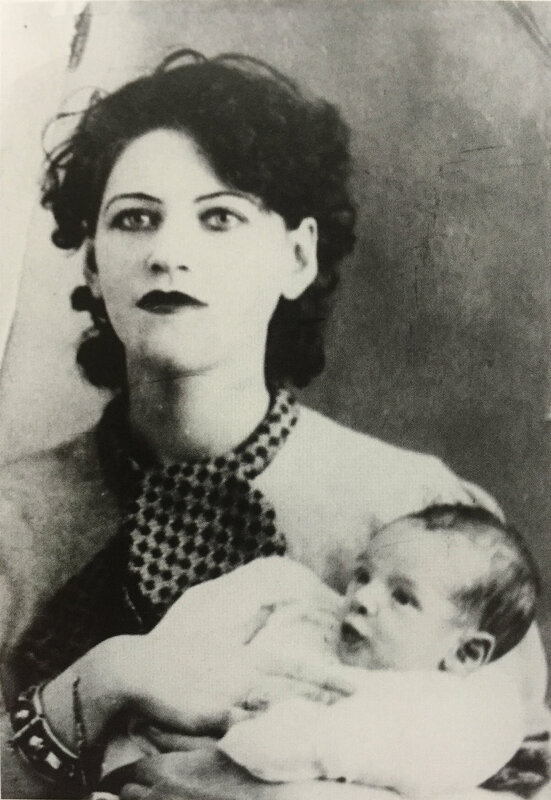 She had a son in 1934, and left the country with him when her relationship with his father ended shortly after his birth, eventually settling back in New York. The boy’s father was named Mabrouk, a name the artist took on after also changing her first name from Anita to Nita and then Juanita. Back in the US, she anglicized Mabrouk to Marbrook, and finally became Juanita Guccione when she married in 1943. It’s thought that her multiple name changes may be the reason that recognition eluded her, even though her work was very highly acclaimed during her lifetime. Guccione is usually referred to as a Surrealist, but her artistic career spanned more than 6 decades and her work ranged from very representational, if dreamlike, to fully abstract. The strong association with Surrealism probably doesn’t come so much from an affiliation with the Surrealist circle of artists as from her propensity to depict a fantasy realm. After her death in 1999, the artist’s son and his wife worked to place and preserve her enormous body of work. Algeria acquired a large number of pieces for its National Gallery of Art in 2004, further legitimizing work that had been highly appreciated but perhaps undervalued during Guccione’s lifetime.